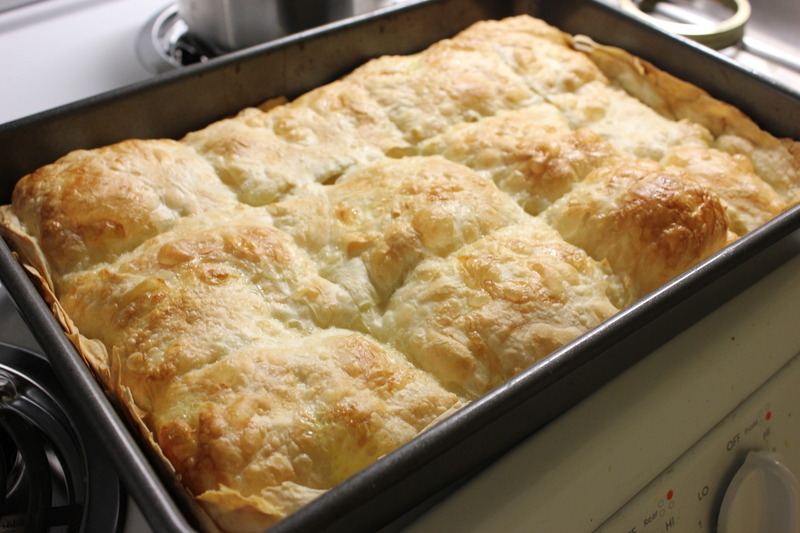 If you asked me to name the highlight of Turkish cooking, it might be börek. 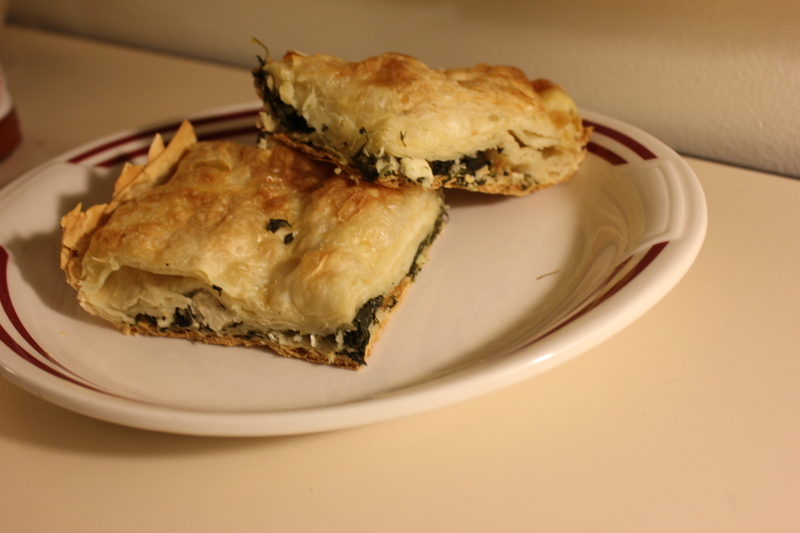 Börek refers to a category of Turkish cooking that basically encompasses savory pastries with various fillings. They can be made in trays or individual rolled, they can be fried or baked, they can be filled with meat, cheese, spinach, potatoes, or many other combinations. I basically could eat börek forever with no shame. In fact, I had a friend who visited Istanbul last spring and confessed that she ate börek every day that she was there, it is just that good. This recipe is so easy and comes out with surprisingly authentic results. While it does require a trip to either a Middle Eastern market or to a relatively well stocked grocery store for the dough, it is totally worth it. The procedure is similar to making lasagna in that you do multiple layers of dough alternated with filling. Turks traditionally eat this with tea, but I basically have no limits and will enjoy it any time of day at any meal. I’ve even been bold enough to serve it during dinner time at a recent party and I’ll happily report that the whole tray disappeared almost before I could even blink. 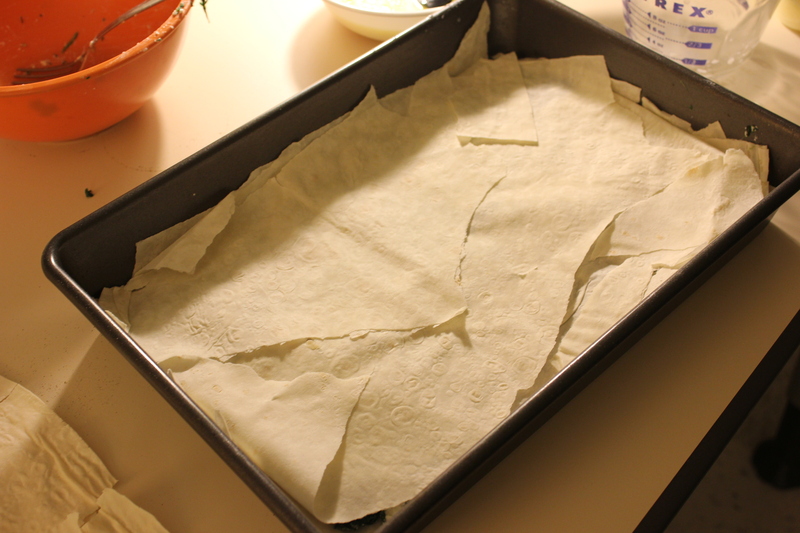 *While you can use the phyllo dough that comes with 40 some sheets, I find this to be too annoying because they layers are very delicate and it takes many, many layers (and thus more time). I like the packets that come with three, thicker sheets. 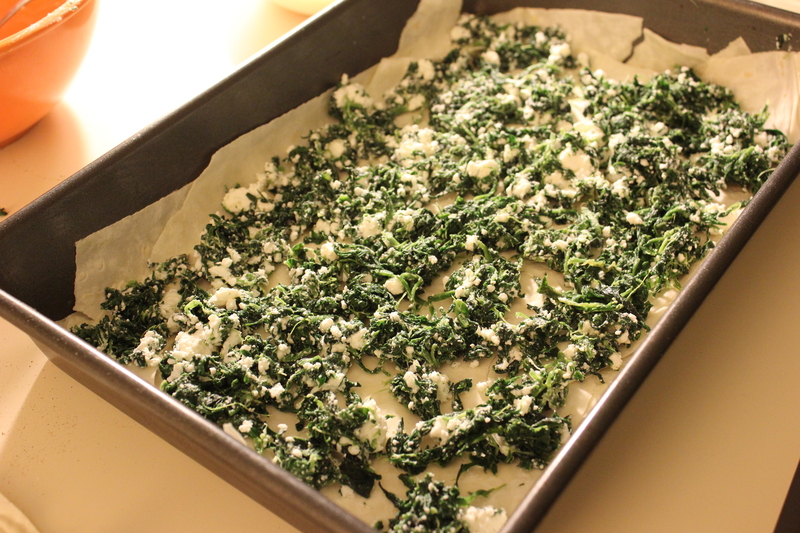 Thaw your spinach and dough (if frozen) overnight. The next day, add about 1 tsp of salt to the spinach, use your hands to rub into the spinach and mix well. Let sit for about 20 minutes and then squeeze well (you’ll be amazed at how much water comes out!). 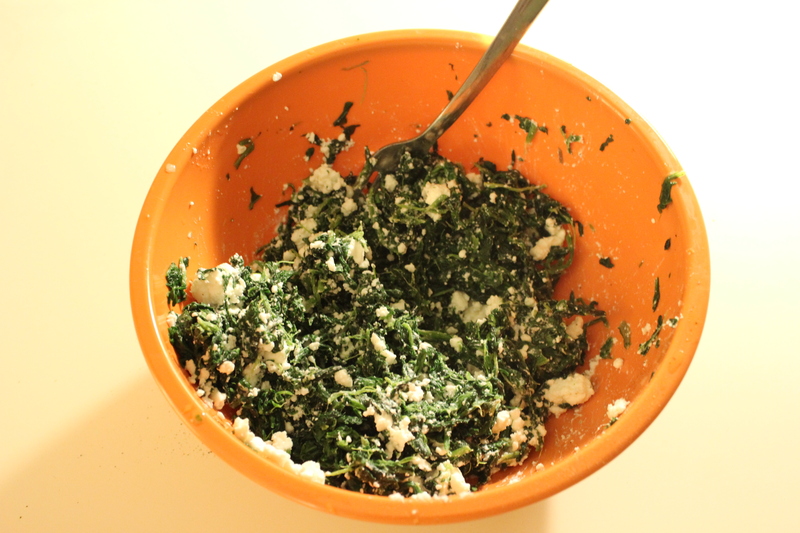 If packed in brine, rinse the feta cheese and then add to the spinach. Crumble and mix well. Add a few shakes of black pepper. 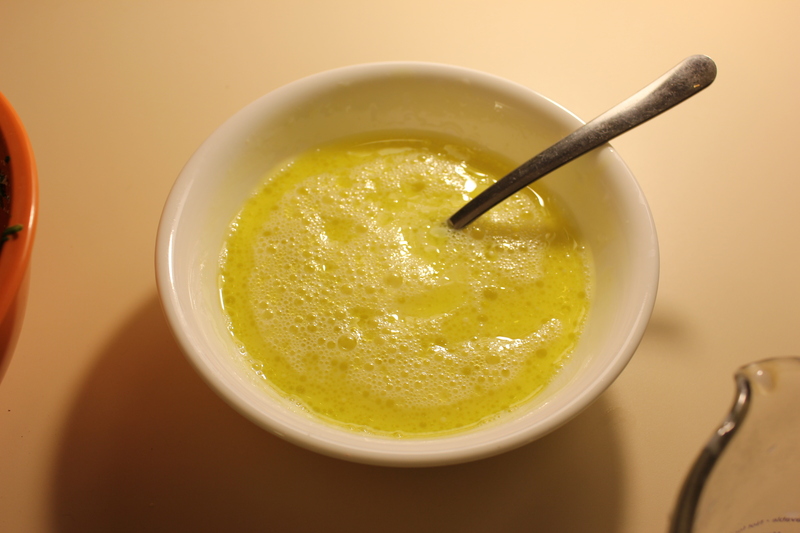 In a small bowl, combine together the egg, milk and olive oil, mix well. Preheat oven to 400 degrees. Take a brownie pan and grease well with the butter. Using about half of the first sheet of phyllo, lay down two layers of dough and then use a pastry brush (or in dire circumstances, a spoon) to brush on the egg mixture. Layer the rest of the dough from the first sheet. Take the spinach mix and spread evenly. If you like, add a few small pieces of butter here and there to make it extra delicious. 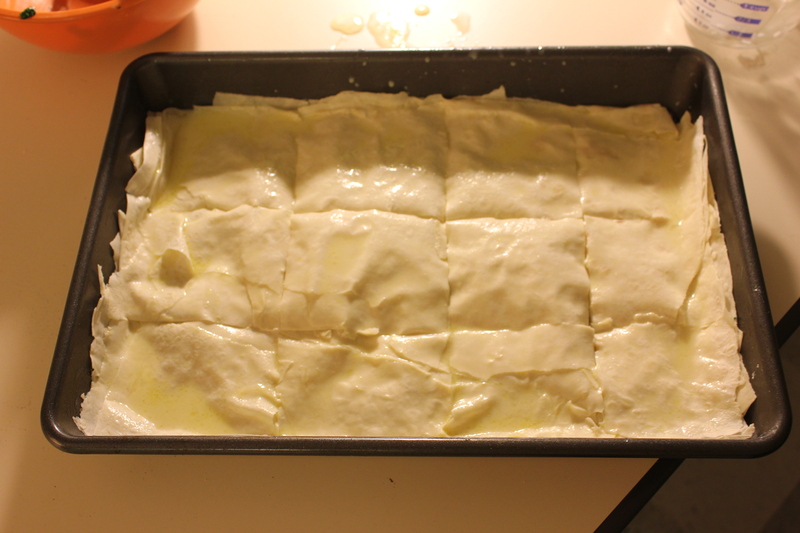 Using a sharp knife, cut the börek into squares. You don’t need to cut all the way to the bottom, only the top few layers so that the steam can escape. Cover with foil and place into the oven for 35-40 minutes. Then, uncover and let cook for an additional 10 minutes or so, or until the top is golden brown. Remove from the oven, let cool for at least 10 minutes and then cut all the way through. Serve either hot or cold.